Tired of mowing around that boat in your backyard? How would you like to get your garage back? 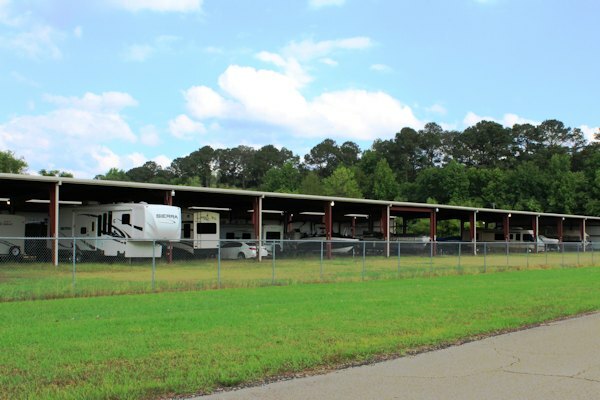 Store your trailered boat, Sea-Doo, or RV securely at Columbus Marina. We offer secure self-storage and have a launch ramp located on property that's available at no charge for our dry storage customers. But if you're short on time, let us handle the hassle! We can splash the boat ahead of time so it's in the water when you arrive. Then, after you've had a fun day on the water, we'll trailer the boat and store it safely back in Dry Storage. For more information, just give us a call and ask about our convenient "In-N-Out" Launch Service.